For those who are seeking a mountain holiday in complete tranquillity and harmony, the Hotel Bucaneve in Moena is perfect. 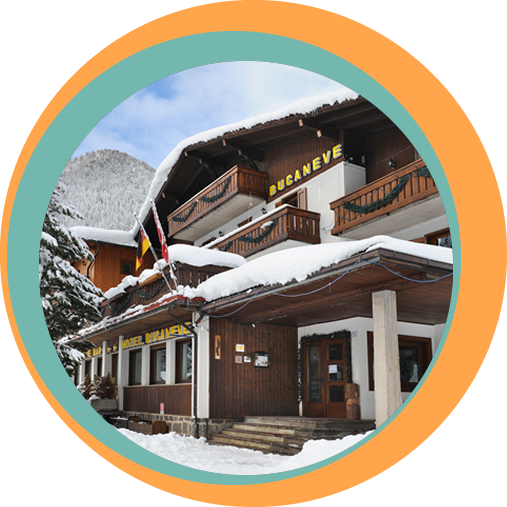 It’s just as ideal for a skiing holiday in winter, as it is for trekking and walks in summer; the Hotel represents the most ideal solution for both families and couples. We are situated in the Fango district (Fanch, in the Ladin language), just outside the centre of Moena, only 3 km from the ski lifts of the Alpe Lusia (Lusia Alps) and only 3 km from those in San Pellegrino. There are so many excursions you can go on, setting off from the hotel, without having to take the car. Try to imagine people from Romagna who have “settled” in the Trentino area. From this wonderful blend, a combination of warm welcoming, simplicity and the maximum availability for our guests emerges, especially when we are dealing with families with children. Despite many important services, such as internet, Wi-Fi, the garage, sauna, ski room and ski boots, our fees are still extremely competitive and made even more convenient by specific special and last minute offers that we publish on our website. 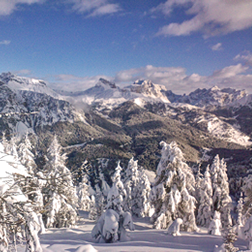 Apart from the skiing holiday among the Dolomites, it is marvellous to visit Moena also in summer. Try to organise your green holiday week at the Hotel Bucaneve, that is right at the point of departure of 2 “entrenched” camp routes dating back to the First World War. Not to mention mushroom picking trips, mountain bike routes, fishing, trekking and all activities to do in summer surrounded by nature in the Trentino region! At our restaurant you can taste both typical dishes from the Trentino and the Moena areas, as well as specialities from the Romagna region, considering the origins of our family. Moreover, upon request, we are available to make variations according to the specific situation, especially relating to food intolerances and children’s menus. 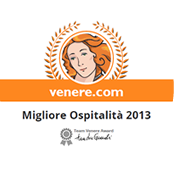 So, choose Hotel Bucaneve in Moena for your next mountain holiday, in order to have services and convenience.